When you purchase a property, be it for your work or for your residence, you probably want to feel safe and secure while you are within the walls of the building. With no shortage of criminals ready to take advantage of an unsecured home, now is a great time to consider changing the locks to your building. Changing locks can go a long way toward improving your security while also improving your peace of mind. With that being said, you still need to remember a few key things before scheduling the service. Today, we are going to go through several important things that you need to remember when changing your locks. With a licensed locksmith on your side, changing out your locks can be a breeze. In fact, the only way to safely change your locks and to be sure of the security is to have a professional render the service. Any professional locksmith will advise you on a few key aspects as you prepare to have your locks changed in order to make sure that you are perfectly informed and ready to commence the service. Let's break down those important aspects now. Decide On Your Style of Lock - You might be surprised to know, there are actually several different kinds of locks that you can install on your home or business. From keyless digital locks to secured, old-fashion deadbolts, your range of options are wide and varied. 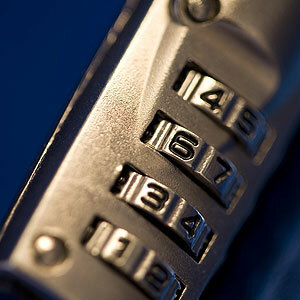 Consult with your locksmith in order to find the right option for you. Make Sure to Change ALL Locks - Don't just change the locks to the primary entrance of the home or building. Make sure to go to EVERY entrance to your building in order to change the locks. This is particularly important if you are renting a property or buying an older home. There is no telling how many people have keys to the entrances of your home. Consult the Best Locksmith Available - While there are countless locksmith professionals throughout the area, not every locksmith is of the same level of quality. Make sure that you are getting the best team of locksmiths available in order to change the locks on your home or business. A job this important requires you to have the best people on your side. Here at Glenferrie Locksmiths, we believe in providing our Melbourne-based customers with premium services at an affordable price. We have more than 30 years of experience within the industry and we are certified to help you address your lock changing needs.